THE SKINNY: When it comes to beauty and fashion color company Pantone got it right with this year's color of the year, Emerald. The color is super-flattering and works well in makeup palettes, including the Sephora + Pantone Universe Color Theory Shadow Block (which comes in three different versions). 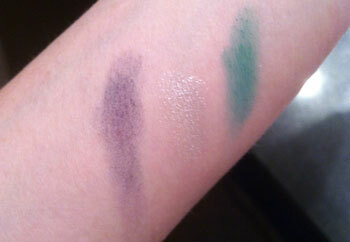 I opted for the most colorful of the trio, spending on a palette that includes emerald, a deep blue and silver shadows. The colors were deep and went on super smooth. Sephora eye shadows are a pretty good bargain in general and this palette did not disappoint. Plus, the three colors worked especially well together to form a great blended green to blue eye, with a silver accent. With a primer the color lasted all day and was not smudgy. KEEP OR TOSS: Keep. Especially if you love a colorful eye. 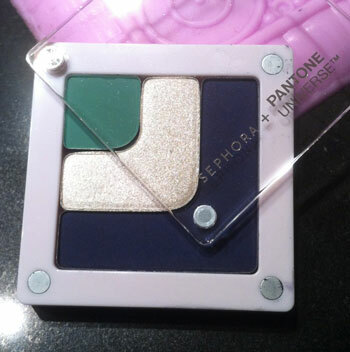 CHECK IT OUT: The Pantone Universe Color Theory collection is only available at Sephora. Last year's Pantone collection (featuring oranges) went on sale about mid-year, but because this palette is more versatile the sale might get pushed back this season.